Warmer Winter from Cigar City – defininitely a winter warmer worth trying! Cigar City Brewing’s 2011 Christmas style beer called “Warmer Winter” (11% abv) is the perfect name for our Florida winter and also for a great new brew from our award-winning local brewery. Rich and complex in taste, it had a distinctive and important (for me) deep mahogany coloration – it reminded me of one of my favorite winter seasonals (yet to find it on tap this year): Anchor Steam‘s annual Christmas brew, only better! WARMER WINTER… no cause for climate concern – except when it comes to your palate! Fortunately the Warmer Winter was still available on tap at the Tasting Room (3924 W. Spruce Street, Suite A, Tampa, Florida 33607) as of this posting, but unfortunately it was not available in a takeaway growler. I guess I’ll have to return for another sampling and cross my fingers that the brew has not yet run out! In this photo, the Warmer Winter is the leftmost sample, followed by Improv (9% abv) an Oatmeal India Style Brown Ale, and two other limited edition seasonal brews (which were not my favorites) and none of these were available for growler takeout. 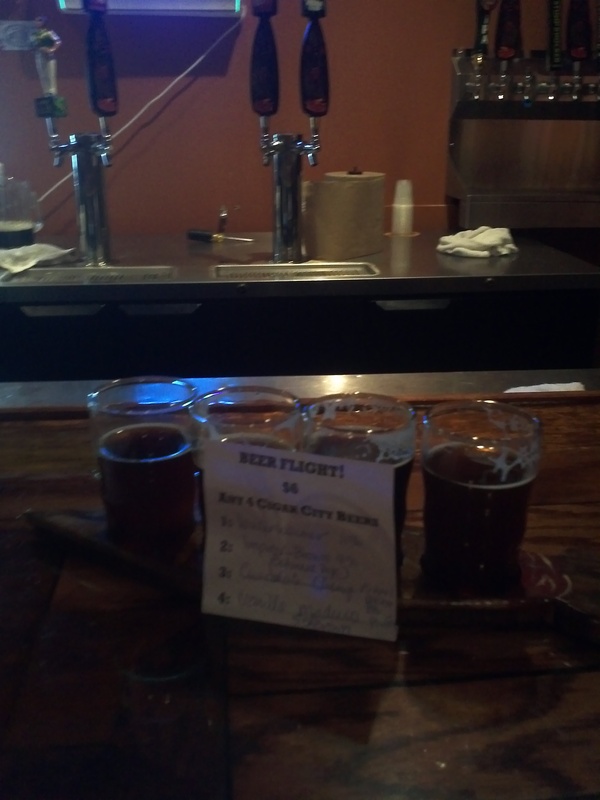 In case you don’t know about Cigar City Brewing near the airport in Tampa, FL, you may just want to get them on your radar! 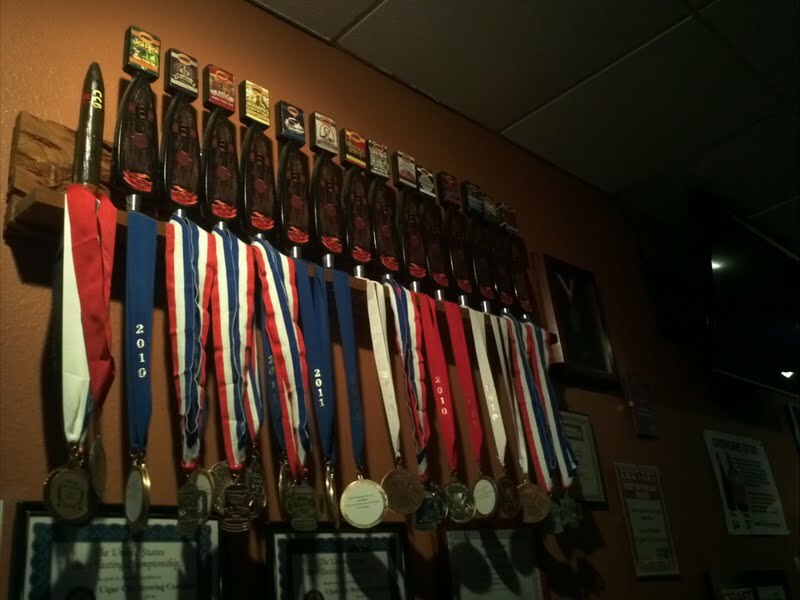 In the short 24 or so months that they have been in business, they have amassed an impressive set of awards from Draft Magazine and others (see photo) and will definitely be making more waves in the months to come as they test out more recipes and test the limits of beer making in North America! Happy new year and wishing you a great 2012 filled with health and great adventures! I was amazed today at the proliferation of seasonal and Christmas brews I found today in my local beer and wine outlet, Total Wine. Florida used to be the domain of Anheuser Busch for many years and it is nice to finally have the “doors wide open” so to speak on craft beers from coast to coast. My personal favorite is Anchor Steam’s holiday ale (reviewed previously). In talking to the beer specialist at my local store, sales of higher end (750 ml specialty brews) were up sharply from 2009’s winter season. Belgium imports such as Delirium and others are selling briskly – in fact the demand was depleting the extra cases they ordered for this year’s entire season. There’s nothing better that comes to mind on a frosty snowfall-infused evening than relaxing with a robust Christmas beer – and there’s no better place than Denmark to do it. Or so I thought! 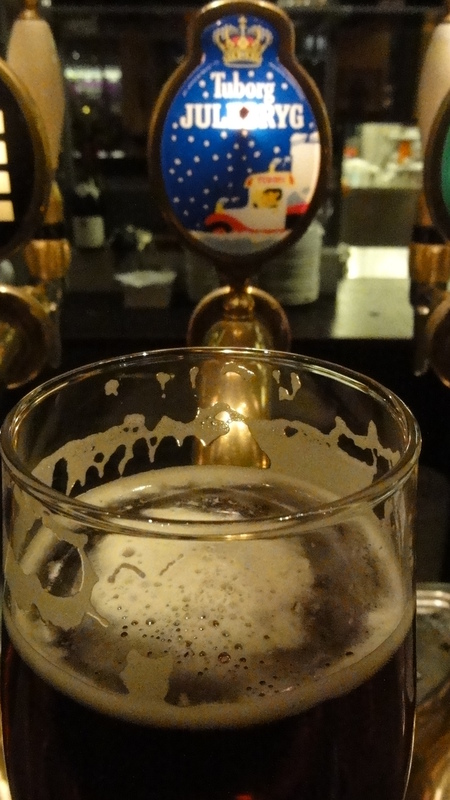 In my short 3 evenings here in Copenhagen, I finally managed to find one worthwhile Christmas beer, but more about that after I share with you my wanderings to a couple of Bryghus (brewhouses) in the area. While the US boasts over 1600 craft breweries from coast-to-coast, Denmark has literally exploded with over 600 craft breweries within its tiny geographic area! Can you imagine the recreation and research that would be found if one were to explore and document the findings at this many breweries over the course of several summers? Possible vacation venues indeed! 1. 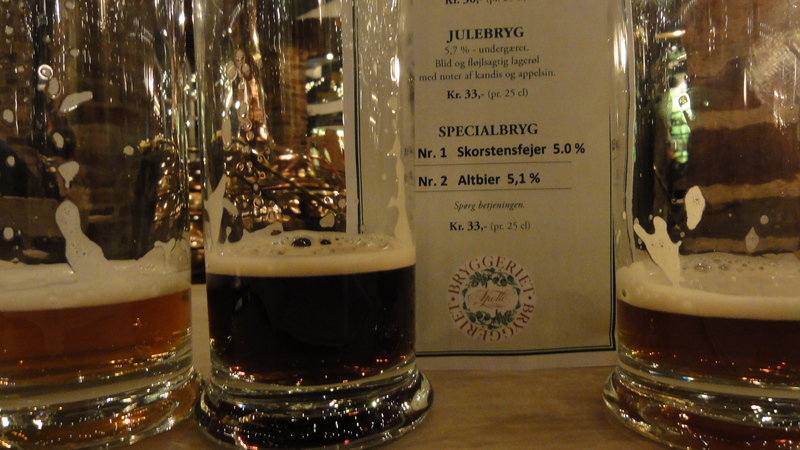 Christmas beer (Julebryg) – while this local specialty was better than the Tuborg Julebryg I sampled the night before, it too was a disappointment – flat, undistinctive, and an unremarkable texture and flavor. I was happy that I had another two samples from which to choose. 2. Chimney/Smokehouse Black Pilsner called Skorstenfejer (ABV 5.0%) – I’m not a big fan of dark beers, but this one was so distinctive from the first sniff that I knew it was something special: rich, smoky charcoal like aroma with a surprisingly smooth taste and finish. It’s hard to describe the taste as I’ve not tasted any beer like this before. I anticipated that the smoke might be overpowering but it enhanced the flavor creating memories of other smokey adventures involving grilling in the outdoors. This Black gold was a perfect pairing for the specialty Roast Duck dinner I ordered (duck accompanied by a light gravy, slivered beets, and baby potatoes), and I was happy to have ordered them both. 3. German Style Altbier (ABV 5.1%) – there’s no mistaking an authentic altbier made in the German style if you inhale the aroma before you taste it. I was pleasantly surprised to find that this brew was true to form – and had a rich taste to match. 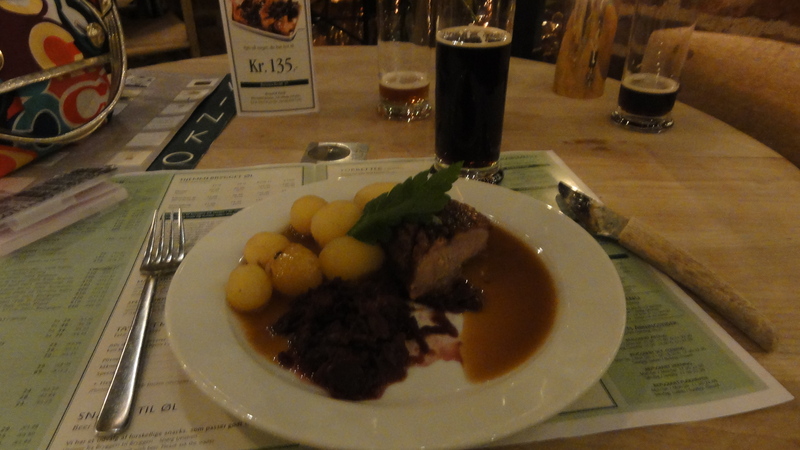 After dinner, I headed across the street to find the Vesterbro Bryghus which also features local brew specialties. 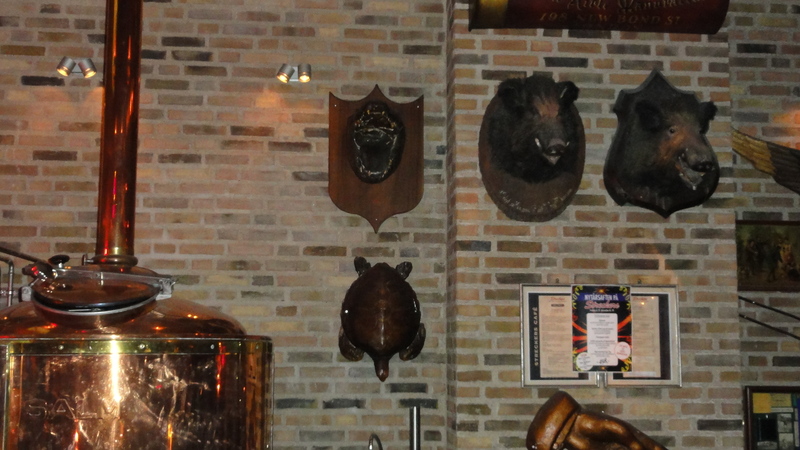 I haven’t ever seen a brewhouse with wild boar heads on the wall, so I knew that this was not your typical brewpub. When I asked for a small taste of 3 of their local varieties (Blond, Amber and Julebryg), the server informed me that I would have to have their entire sampler tray which also came with Tuborg’s Christmas and the regular factory beer Carlsberg. It took a bit of convincing but she finally agreed to give me a finger height sample of each in a small glass, and to my delight, I finally found their Christmas beer reasonable. 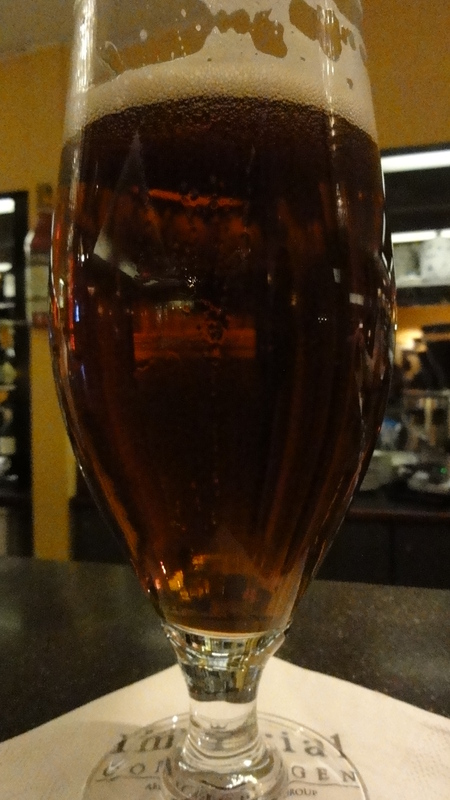 p.s., Since returning home, I had the good fortune to try the new Anchor Steam Holiday Ale (ABV 5.5%) on draught – the 36th year of the top-secret recipe holiday brew. And, it was the closest taste to the Norwegian Christmas taste that I’ve been looking to find. Dark, smooth, Christmas-like aroma (cloves, nutmeg, nutty), and a lingering finish that reminds one of cold nights in front of a hot fire – up north of course! Until the next pint – enjoy your holiday season! I have to say that this was a huge disappointment in terms of Christmas beer… perhaps I am becoming more critical in terms of my expectations of Christmas beers (or spoiled by the array of seasonals now available in the U.S.). I anticipated from the coloration that this would measure up to the Norwegian Christmas beers of seasons past in terms of full-bodied and caramel taste, but it unfortunately, did not. (Note to friends in the US – you are not missing anything here.) Measuring in at 5.6% ABV, the pouring was wonderful only in color, but the aroma (non-distinctive), taste (bland), and overall experience made for a forgettable experience. The best thing about this pour was that there was gentle snowflakes falling outside! BUT… all is not lost as I sampled a second, surprisingly good second pour – none other than a Carlsberg (yes, a Danish institutional brewery) Carl’s Special Golden Ale (see photo below). This brew was definitively caramel in aroma with a hint of molasses and competes with some of the nicest craft amber/golden ales I’ve tasted here or in the U.S. I anticipated a much more industrial (mass-produced) flavor having had the Tuborg immediately before. But the Carl’s Special IS special – full-bodied, refreshing with caramel/toffee aftertones. (Hmmm… hints to Budweiser – if Carlsberg can do a good job on a specialty amber, perhaps there is hope?) Carl’s Special Golden Ale measured in at a respectable 4.6% ABV but packed taste rivaling a much more robust brew. 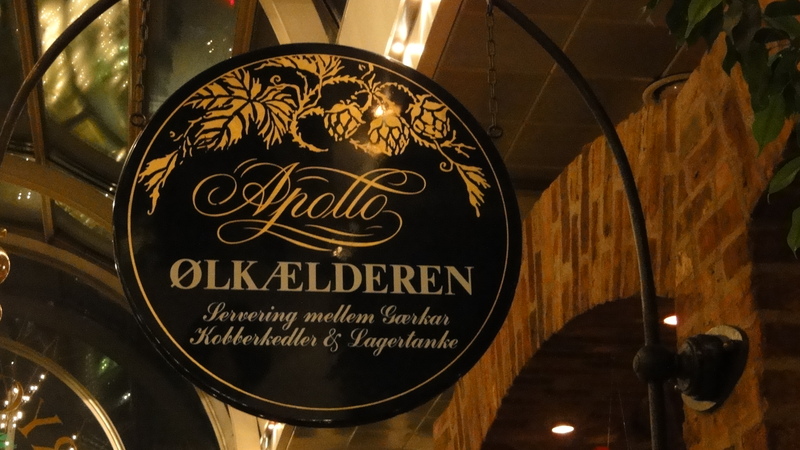 Recommendation: If you happen to be in these Scandinavian parts anytime soon, the Carl’s Special Golden Ale is definitely worth the price of a pint! 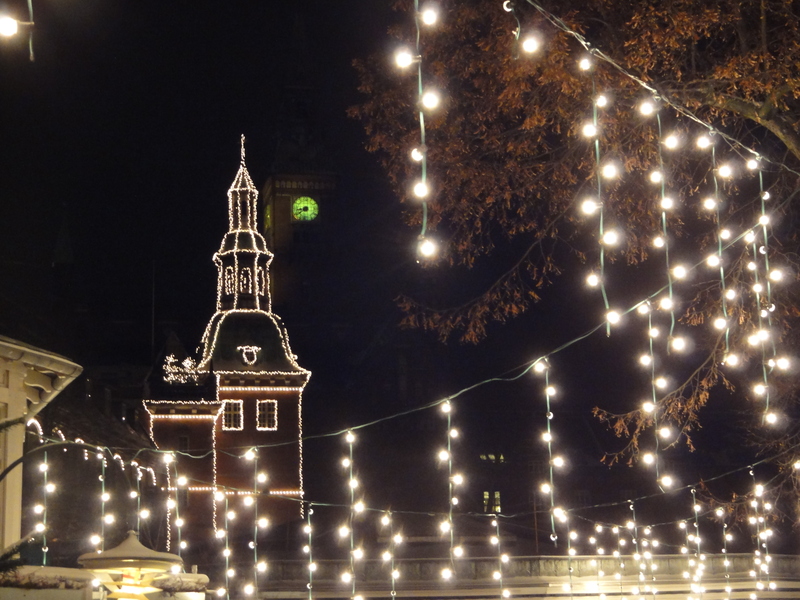 Next post — Microbrewery visits in Copenhagen and the Christmas lights of Tivoli Gardens at night.